Previously published by Halloween: Magic, Mystery, and the Macabre edited by Paula Guran. A.C. Wise's prose poetry is on full display here. 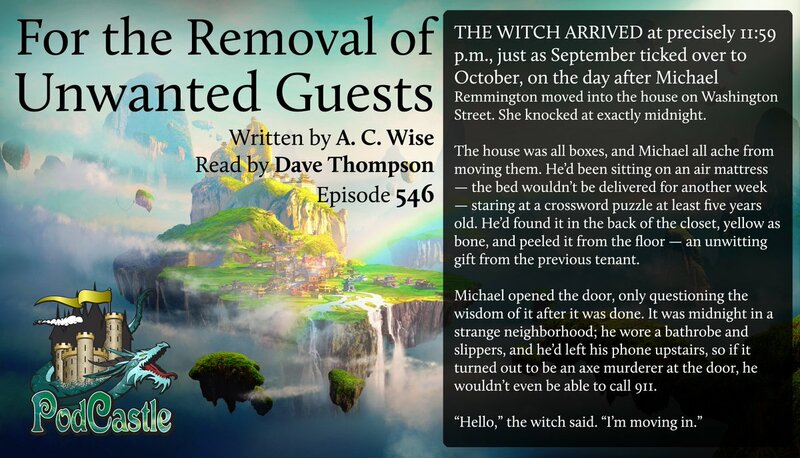 This story is a great example of Halloween moodiness with the smell of autumn on the wind. I really liked the language in this one, even though some metaphors/comparisons* were a bit cliche. * I mean stuff like "his eyes were like to glowing embers", which is not from this story, but an example of what kind of term I mean. Sorry, I learned my creative writing terms in a language other than English. The audio recording quality lost me at first, and the sudden audio effects (with no background, like rain?) took me out of the story a bit, but I'll be darned if I wasn't listening raptly by the end. Well done.